Materials on them definitely don’t make you go wow as far as quality goes whether you first taking them out of the box or lacing them up for the first spin. Practically you can’t lace them up – but you get the point, right? Personally, I didn’t have any issues with the quality of the upper in terms of them showing early wear & tear signs or similar stuff. Yeah, this isn’t the most premium stuff in the business. But, hey, it works really well which is the most important thing to me. So the main framework is covered with your traditional mesh material. What I’d like the most is that the forefoot is made out of pure mesh – no backing layers underneath – just straight up mesh. That being the case, it made the middle section of the forefoot incredibly flexible, responsive to your foot’s movement, light & hella breathable as well. At the same time removing any type of break-in period – pure money from the get-go. Whereas the toe & heel sections do have nylon backing underneath the mesh to create some additional structure within the upper & make it a tad bit more durable. Still felt nice tho. The synthetic overlays are found on most stress receiving areas to cage your foot in and prevent from busting out of the footbed, as well, on tongue & heel sections to house those golden stitched logos. Damn, they’re clean. It seems there’s no end for Nike & Jordan brand to impress us every single year with hand-full of different iterations of Zoom Air. This time – we do get that all-around performance as on the past AJ model (the AJ 32) but with a “small” twist made to the forefoot. SPOILER ALERT: that forefoot section is out of this world, literally. So starting off with the forefoot – the AJ 33 features a THICK bottom-loaded Zoom Air unit which covers the most of the forefoot. We don’t have any dismantled images of them yet to see how thick this unit exactly is, but it should be somewhere around the same thickness as the Zoom Air pillow in the LeBron 15’s. 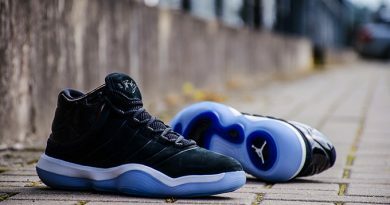 The difference is – there’s nothing except FlightSpeed plate that separates your foot from making a direct contact with all of that Zoom Air madness out there – no some type of foam is located above. Once you break-in that FlightSpeed plate, which should take you about an hour or so, trust me, this stuff can BOUNCE man – a lot. You literally feel like you just gained five inches of vertical straight away. The amount of compression & impact protection this stuff can produce is jaw-dropping. It’s freaking unreal. And the best part is that you don’t feel that high off the ground. Yeah, you do sit higher than on the AJ 32s but that didn’t take away much of the control over my moves. So no issues there either. 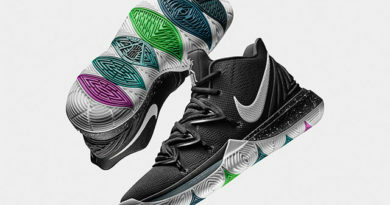 The heel actually wasn’t that crazy or fun to play in due to rather small bottom-loaded hex Air unit, again, some resemblance to the LeBron’s signature line. Just don’t get me wrong on this. The back does have enough impact protection to absorb any type of force. It just not as bouncy or alive compared to the forefoot. Nike decided to use an updated version of the nub traction pattern found on the Kobe AD NXT “Exodus”. 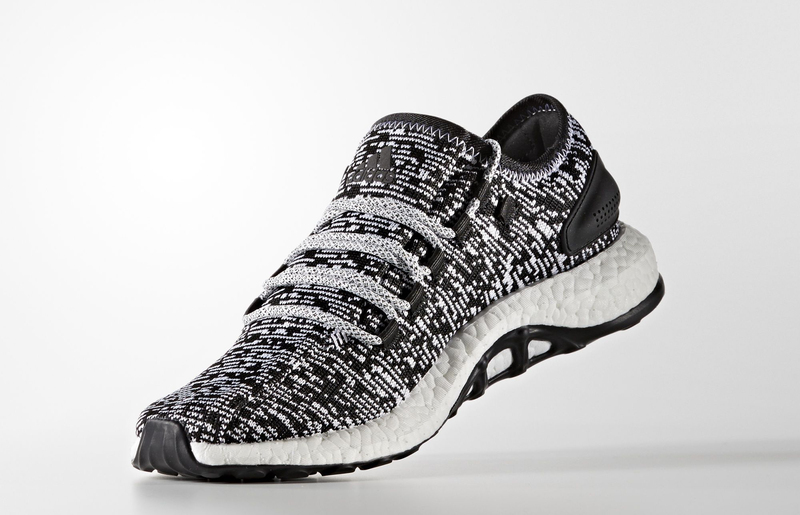 So, for the most part, I already knew what to expect from it & how capable this outsole really is. Still, the biggest question was if that nub remapping did improve its performance or made it worse. Luckily – it was the following one. The more aggressive bite when dust being present was the most noticeable improvement which the Kobe AD NXT was lacking. In other words – the AJ 33 felt quicker in response to my on-court movements with a flick of a finger type of stopping power. When talking about dust problems – I didn’t receive any of them – a few notches firmer rubber compound made the outsole just that of a smaller dust magnet compared to the NXT’s. Yet, you still want to lightly wipe them every so often to keep that solid bite alive. No extra maintenance is needed which is always an appreciatable thing in my book. Other than that, the traction was really solid no matter what type of surface I played on, except outdoors. Sorry street ballers – this is not one of them. Let’s talk about the elephant in the room – the FastFit lacing system. Instead of them having a traditional lacing system, the 33 houses a thin cord following the same path as laces would do. They say it’s made out of the same material that parachutes ropes are made, so there shouldn’t be any doubts about its durability, even though, it does look quite fragile and something that would hold too long. Well, we will see. So far so good for me tho. Now – where the string takes a deep dive inside of the upper – there we do have more muscular pull-strap which you suppose to pull, obviously, to tighten them up to your liking. To make this stuff easier for you to understand – it basically works like a zip tie just with an option to loosen it up whenever you need to by pulling that yellow-black loop. Just a quick pull and the shoe immediately becomes loose as a goose. You can actually see some of the mechanism peaking through a small window on the bottom of each shoe which I found it to look really clean. Much like those watches with exhibition casebacks to show-off how fancy they are. Usually, with your typical lacing system, you’re forced to redo them every once in a while to keep that tight fit. With the FastFit tech, on the other hand, it’s a one strap pull per session or until you call a day. You can go really one-to-one with this stuff – keeping that first-step tension as long as you want to. So far so good, however, there’s one issue with it that can make the entire shoe pretty much not useable – and that is lack of customization. That being the case, if you do have a weirdly shaped foot, you can’t make one area to be tighter and the other looser, like you would do with the regular laces. So unregular foot owners should definitely put that into consideration & try them in-store first. As wide footers should do the same due to them running pretty narrow. Or the other option is to just trust me and go half a size up. For everybody else – true to size is what you need. This is a first ball sneaker in a while – not counting the LeBron Soldier 12 – which has a functional strap. Yep, that belt-like red strap located on the lateral side did a wonderful job of completely locking-down the top area of the midfoot, as well as, pushing my heel as much down & back as possible, leaving no room for heel slippage or other crap. The strap is actually attached to two the same type of cords as used in the FastFit system, so when you pull that strap it pretty much does the same thing. Meanwhile, the synthetic leather paneling cages your foot for a sturdy ride. And even though, just by looking at them, they don’t look that beefy, trust me, they have plenty of support within the upper and them some. Now when it comes to platform – much like the Jordan Jumpman Hustle – the AJ 33 does have a pretty narrow base & no outrigger to compensate it. It was enough to keep me stable in more intense situations, but just barely. So I don’t have a reason to be mad about it. I was one out of many that did have some love-hate relationship with the silhouette Jordan brand decided to go on the 33s. The thing is – you MUST go to your local sneaker store – hold them in-hand & slip your foot in for a quick store spin. As the Nightwing said in his performance review – they’re gonna take you on a freaking trip, man. They sure did just that. 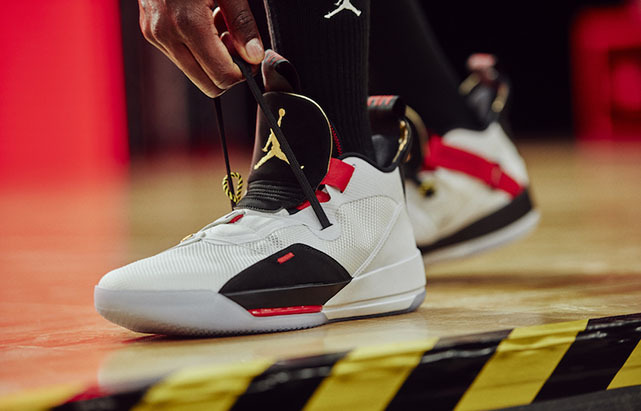 From eye-catching color blocking to the smallest details that do make the difference all the way up to the cutting-edge tech – the AJ 33 is a masterpiece. Same transfers to their on-court performance. Every single aspect did work nearly perfect for me, putting a smile on my face every single time I pulled that cord before taking the flight. I agree, the price is up there, but sometimes it’s worth it. And this is one of those times. Hope you enjoyed my Performance Review on the AIR JORDAN 33. Will you be picking them up? Let me know! 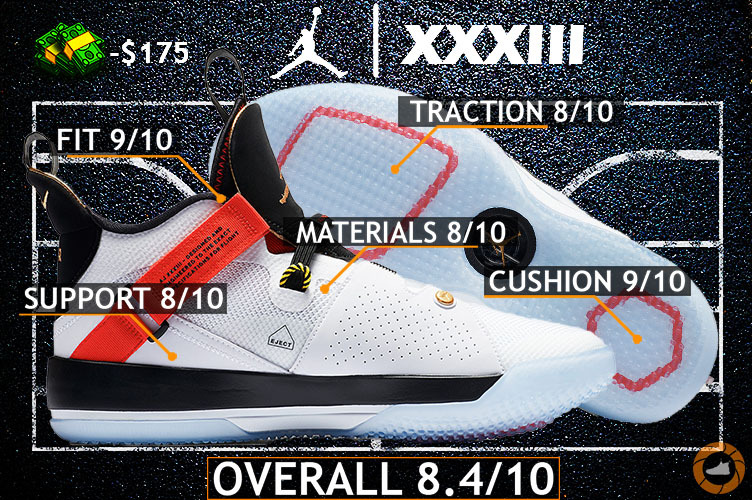 ← Jordan Jumpman Hustle REVIEW – Performance For DAYS! Another great review. What is your top 3 shoes so far? I appreciate your support man. 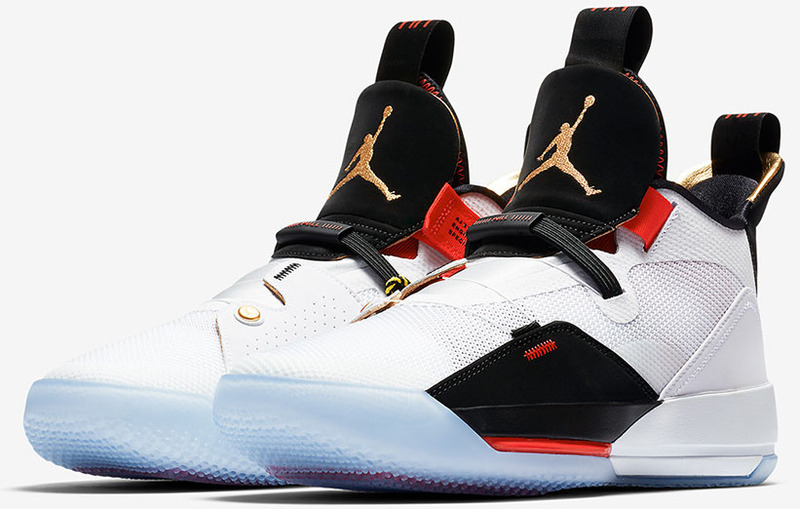 If talking about this year’s – it must be the AJ 33, LeBron 16 (performance review coming soon) & I have to go with the Jordan Jumpman Hustle. Thanks for the response. I have to try the Hustle and AJ33. Jordan is doing well this year. Especially have great performing budget shoe. Keep up the great work. 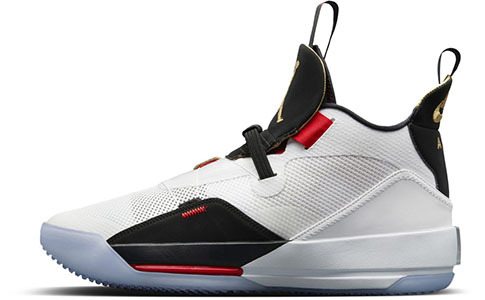 Yeah, Jordan brand is not a huge budget line-up maker but, boy, when they make one, it’s straight up killer.